Due to hygiene reasons we cannot accept exchange or returns on opened items so please choose carefully! Return for refund policy is not applicable for wrong choice of purchases made online. Nor do we refund for a change of mind. A refund is not available if the customer bought them for someone else who doesn’t want them. We do not refund for the subtle and unavoidable variations of aroma that sometimes may occur between the batches with 100% pure natural ingredients, nor do we refund / exchange because a customer may not care for a product’s colour or aroma. 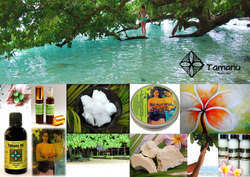 The aroma of Tamanu Oil, earthy and spicy, is indicative of it's wildharvested botancial source and medicinal properties. Once a customer has been sent the tracking number from Australia Post, it is then the responsibility of Australia Post. Please contact them directly if an order has not arrived or been damaged in transit. Any other concerns not addressed, please contact Tamanu Australia via email or phone within 7 days of receiving your order.